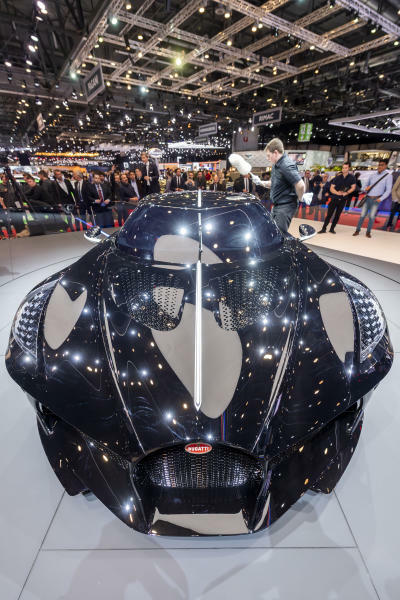 GENEVA (AP) — The most expensive new car ever sold is a one-off Bugatti luxury sports car that has gone for 16.7 million euros ($18.9 million). "La Voiture Noire" — French for "The Black Car" — is a low-slung sports car with a huge 16-cylinder engine and Bugatti's trademark front grille. The manufacturer unveiled it at the Geneva auto show this week, and said Thursday that it had been sold at what it and industry experts said was a record price for a new car. 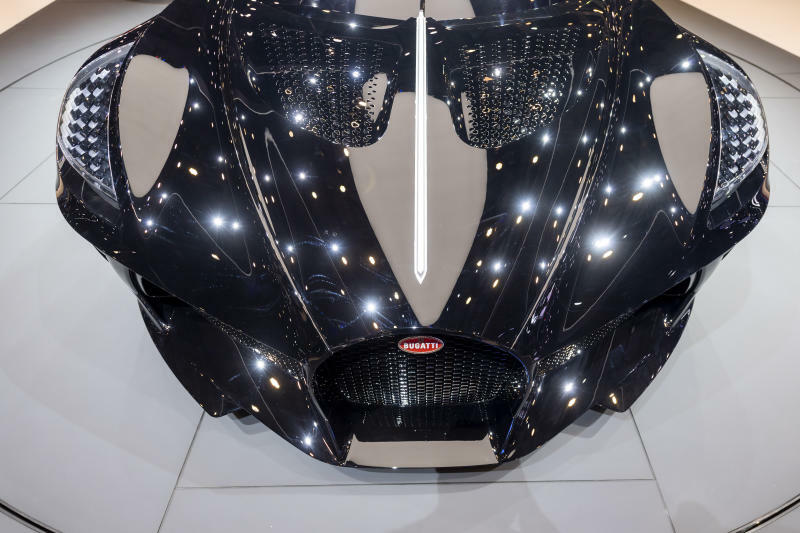 The identity of the buyer was not revealed, though the buzz surrounding the move will have burnished Bugatti's image as a maker of luxury trophy cars. Stephan Winkelmann, the president of Volkswagen-owned Bugatti, said: "The true form of luxury is individuality."